There's arithmetic calculator and there is scientific calculator. When I started taking-up calculus classes during college, I was surprised to find out that there's an even higher level of calculator, the graphing calculator. A graphing calculator allows you to type down equation and it will plot the graph of the said equation. Some of the exercises in our calculus textbook explicitly instruct the use of graphing calculator but our professor never required us to buy one. She is content with just having us plot the graph on paper manually, which I think can be more helpful in the learning process. However, having the means of quickly showing how the graph of certain familiar forms of equations can help the students to be more familiar with them. You can download it here: GraphCalc - graphing calculator. 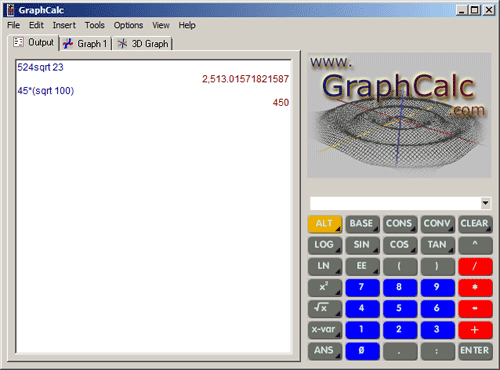 GraphCalc is a free open source software (FOSS) that replicates the function of graphing calculator and even more. Aside from presenting graphs based on the inputted function, you can also import the graph as bitmap files. For teachers and instructional designers, it means they could easily sketch a graph with accuracy that truly reflects the equation, which they can use in lesson plans, visual aids, exams, courseware modules and educational games. option to control the spacing of gridlines e.g., every integer, every even number, every tens, etc. So far, these are the features that I find useful, in particular in making graphs for mathematics lessons and quizzes. The textbox wherein you could type the equations readily starts with "y =" (appearing as y1: to y10:) and you have to encode only what's on the other side of the equal sign. This calculator will not graph 2x + y = 1. You need to transpose it to y = 1 + 2x. For 3D graph, the equations must be in the form of z = f(x,y). As a consequence of having to rewrite equations in terms of y = f(x) or z = f(x,y), we cannot have scenario wherein there are two possible values of dependent variable for just one independent variable (or two independent variables in 3D). That is, all our equations must be functions. This can be problematic for those teachers who intend to put up their own websites or courseware developers that are into web-based learning modules. This limitation can be easily remedied by opening it on GIMP (free software), Photoshop or any similar image editing software, Then, use "Save As" or "Export" to save it as JPG, PNG, GIF or whatever format that suits you needs. The range option of the graphs works differently in 2D and 3D Graphs. 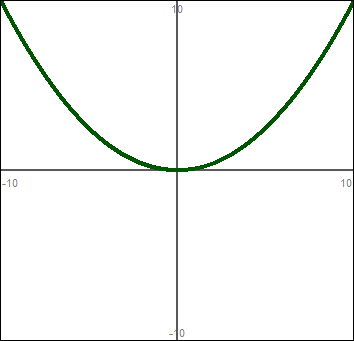 If you set -10, 10, -10 and 10 as the values of x min, x max, y min and y max (in 2D Graph --> Equations --> Range & Precision), you will only see these as the maximum values visible in the standard view of the graph. When you zoom-out the view, you will still see the graph extending beyond these predefined ranges. 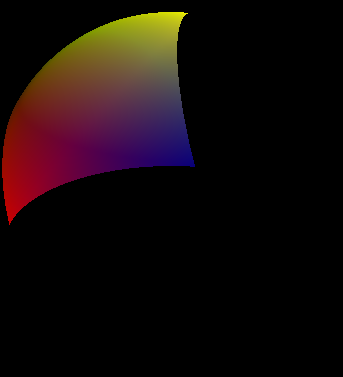 However, in 3D graphs, the generated surface does not go beyond the defined range. The surface generated on the figure above is actually surface of a hemisphere with radius of 10 units. 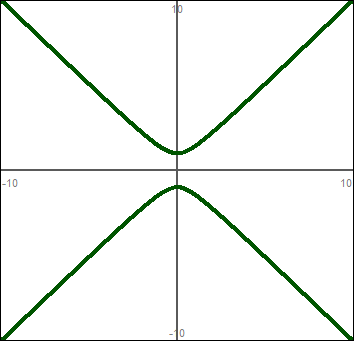 However, the values of x min, x max, y min and y max here are -5, 5, -5 and 5 respectively. Thus, the part of the surface that lies outside the box defind by this range was abruptly cut. 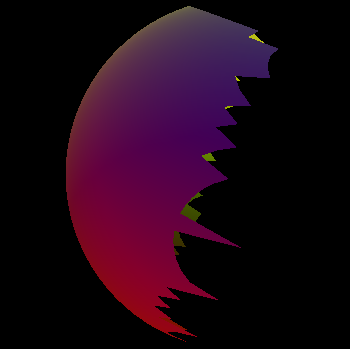 For some unknown reason, in generating hemisphere, the surface appears to be missing some piece, like some sort of broken glass near the x-y plain, as shown in the picture above. I do not know what's causing this, if there's anyway to fix this, or if the programmers of this software, Mike and Brendan, did this on purpose. Maybe they do not want to totally hide the grid? GraphCalc is a quite old software and its official website shows that it latest version was on November 2003. I was still working on my college thesis during that time. I'm not sure if it is still receiving any support from its programmers but maybe they still do, judging from the fact that the website is still up. Someone must be paying for the hosting. While the software was last updated in 2003, I just installed in in Windows 7 and it is still working just fine. I was suppose to download the Linux version but when I noticed that it is still in version 0.0.1 with with 53KB installer (compare to Window's version 4.0.1 with 856KB installer), I decided not to try it. Instead, if you are using Ubuntu, one of the well-known forks of GNU/Linux, I would recommend that you use KAlgebra instead. Last updated on 20 May 2013.